When I was little I fancied myself a bit of a chef in the making. I remember making my mom sit and watch as I carefully demonstrated the proper way to prepare boxed brownies while explaining the “complex” instructions one-by-one. I also recall entering the Pillsbury Bake-Off annually and watching cooking shows on TV long before that was a cool pastime. I was always trying to come up with something new or put my own spin on a classic. 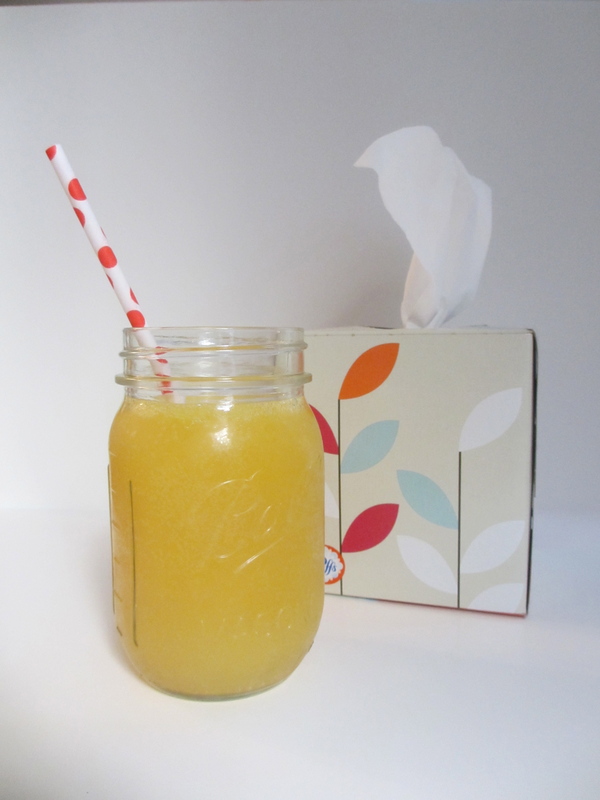 One of my favorite creations was a simple mixture of orange juice and ginger ale. I called it orginge (hey, I was in the single digits age-wise), and it was delicious. The refreshing drink became my go-to request on hot summer days and whenever I was feeling under the weather, and it’s something I still crave to this day. So when I came down with a bit of a stomach bug this past Monday, I knew exactly what I needed to feel better. For me, the perfect ratio is 1 part orange juice (with pulp) to 2 parts ginger ale, because I like the tang and fizz the soda provides. Over the years I’ve found that this quick drink works well as a mocktail (come on, it’s practically a mimosa for kids) and also works as a good base for punch at parties. Give it a try and see for yourself. This entry was posted in In the Kitchen and tagged @SWWUblog, in the kitchen, mocktail, non-alcoholic mimosa, orginge, soothing drink, virgin mimosa by Something We Whipped Up. Bookmark the permalink.